After graduating in 1990 from the University of California, Berkeley with a B.A. in Political Science, Mr. Rollin attended McGeorge School of Law from 1990 to 1993, where he graduated in the top third of his class. 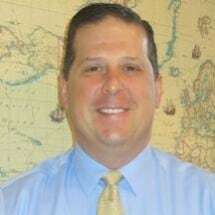 After taking (and passing) the Bar Exam in July, 1993, Mr. Rollin commenced his legal career working in a small firm in Delano, CA where he gained valuable legal experience before joining Visalia's second oldest firm, Houk & Hicks (having moved from Bakersfield to Visalia in 1995). Working as an associate attorney from 1996-1999 under the tutelage of Gareth W. Houk, Jr. and Lloyd L. Hicks, Mr. Rollin gained additional valuable experience representing clients in many different types of cases. In October, 1999, Mr. Rollin opened his own sole practice in Visalia, and since that time he has successfully represented clients in civil matters of all kinds, with an emphasis in business, real estate, collections, construction and employment law. Since November, 1995, Mr. Rollin has been a proud member (and Past President) of Visalia Breakfast Rotary, contributing his time and money to perform philanthropy throughout Visalia and the world. Mr. Rollin has served on the Board of Directors for the Tulare County Bar Association since approximately 2009, where he currently serves as President. Mr. Rollin has served two terms on the Board of Directors for Congregation B'Nai David, a Jewish synagogue, and is currently the immediate Past President. In addition, Mr. Rollin was recently appointed to the Board of Directors for Sycamore Valley Academy, a public charter school, where he has been contributing his time and efforts as well. Mr. Rollin resides in Visalia with his wife and two young children. Ed Kuykendall, Ag-Wise Enterprises, Inc.